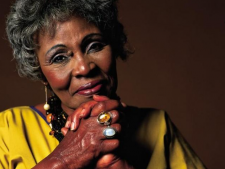 The family of veteran jazz singer Dorothy Masuka has described her as a loving person. She passed away at the age of 83 at her home in Johannesburg, on Saturday, surrounded by her family. Masuka’s song Dr Malan was banned in South Africa. She also sang at the inauguration of then Democratic Republic of Congo (DRC) leader who was later assassinated, Patrice Lumumba. That led to Masuka being exiled from her home country of southern Rhodesia, which became Zimbabwe after independence in 1980. Masuka was born on September 3, 1935, in Bulawayo, in the former Southern Rhodesia which is now called Zimbabwe. She was the fourth of seven children. The post Family remembers Dorothy Masuka as a loving person appeared first on SABC News – Breaking news, special reports, world, business, sport coverage of all South African current events. Africa's news leader..